It's 08:54 in Marmaris, Turkey right now. Uzunyali Beach and Promenade Marmaris Municipality webcam. Marmaris: Atatürk Caddesi /Beach, 0 miles away. Marmaris: Marina Marmaris, 0 miles away. İçmeler: Livestream Beach and Marina, 4.9 miles away. City of Rhodes: Rhodes Marina, 29 miles away. 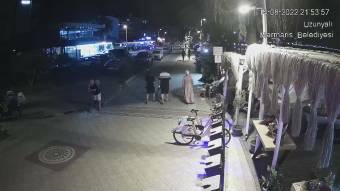 Ialisos (Rhodes): Livestream Trianta Beach, 31.6 miles away. Paradisi (Rhodes): Rhodes International Airport 'Diagoras', 33.5 miles away. Theologòs (Rhodes): Surf and Kite Theologos, 36 miles away. Kallithea (Rhodes): Livestream Beach, 36.6 miles away.